Dr Yu is Chairman of Yue Hwa Chinese Products Emporium Limited. 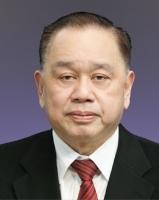 He is also a member of the Standing Committee of the National Committee of the Chinese People’s Political Consultative Conference, Vice Chairman of All-China Federation of Returned Overseas Chinese, Founding Chairman and 1st President of the Federation of Hong Kong Guangdong Community Organisations Limited and Chairman of the Hong Kong Federation of Overseas Chinese Association Limited. He has been awarded a Gold Bauhinia Star, a Sliver Bauhinia Star and appointed a Justice of the Peace by the HKSAR Government.